Supply side response will determine when and at what price level the crude market stabilises. To induce stability, prices need to remain at a level that substantially reduces the growth rate of marginal US shale production until surplus supply is absorbed. These dynamics are set to usher in a new phase of lower oil prices. Last week we focused on weakening demand. But the demand side provides limited insight into the shorter term drives of crude market price dynamics. Demand for oil is not particularly timely in its price responsiveness. So it is likely to be supply side response that determines when and at what price level the crude market stabilises. That is the focus of today’s article. Some of the material in this article draws on useful recent analysis on production dynamics by Goldman Sachs. Analysis of the oil market has historically been clouded by the cartel behaviour of OPEC producers. But the relevance of OPEC’s price/volume strategies has been eroded by the surge in US shale production. Growth in US shale output has been a big factor behind the current oversupply. But the economics of shale production are also likely to drive the marginal pricing dynamics that stabilise the crude market. Several conspiracy theories have been floated on collusive behaviour that has contributed to the decline. For example OPEC is happy to see US and producers suffer at lower prices or Saudi Arabia and the US are acting to hurt Russian interests. But the reality is that OPEC (and Saudi Arabia) has limited power to act to stem the current price rout. All producers are suffering together from lower oil prices. 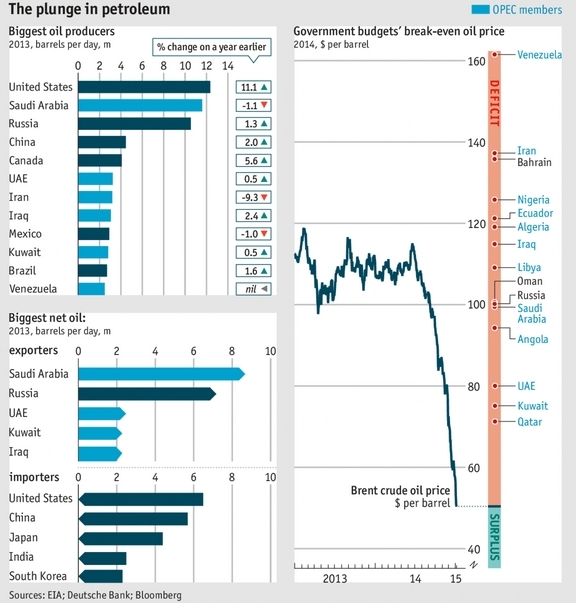 Not a single OPEC member can balance their budget at current oil price levels as shown in Chart 1 via an interesting graphic published in the Economist. The traditional assumption has been that OPEC producers will respond to price declines by cutting production volumes. But the reality in the current world of falling prices is that producers are incentivised to increase production because they need the revenue. They are not incentivised to cut production to boost prices. This removes the focus on OPEC production volume dynamics and shifts it to the economics of US shale oil producers who dominate the marginal section of the crude supply curve. Short run marginal cost (SRMC): Producers will scale back production if they cannot cover their operating cash costs at current price levels (subject to the influence of protection from existing hedge positions). Long run marginal cost (LRMC): New production will not be commissioned if prices do not cover life cycle investment costs (note: this is driven more by prices over an investment horizon than the current spot price, albeit it with an obvious linkage). In conditions of plentiful supply, spot price movements in commodity markets tend to be focused more on SRMC than LRMC dynamics. There is usually a rapid supply curtailment response if producers cannot cover variable costs. With cash operating costs of around 40 $/bbl, the more marginal US shale plays may act as important price support in the short term (caveat the risk of prices overshooting to the downside before there is an adequate production response). However Goldmans’ argument is that the LRMC dynamics of US shale will also be a key driver of short to medium term production response. This is a function of the scalability of shale production and short production lead times. A high decline rate on new wells means that there is a relatively fast investment replacement cycle. In other words the life cycle costs of shale wells (at 75-80 $/bbl) play a much more important role in influencing prices than the LRMC of other production plays with longer investment cycles (e.g. deep water or tar sands). 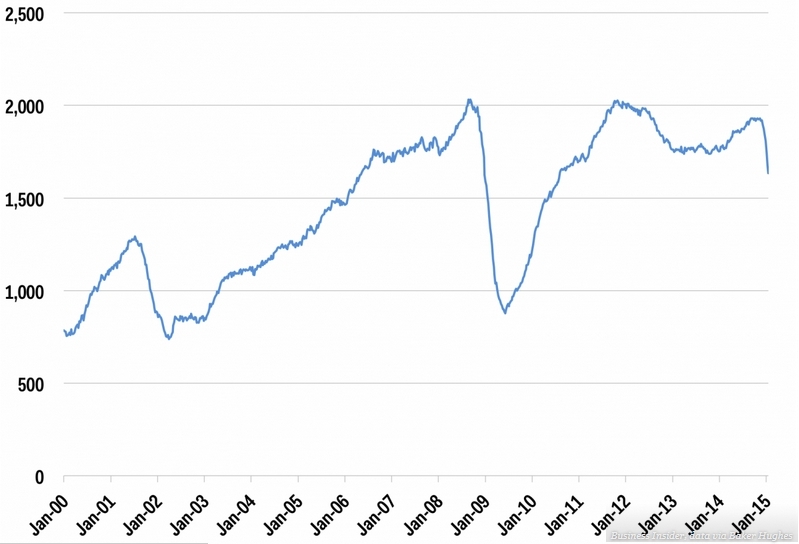 Chart 2 illustrates the fall in US rig count as a result of the recent decline. While this shows producers have started to respond by cutting back on production there may be a long way to go to stabilise the market (the 2008-09 drop was over 1000 rigs). 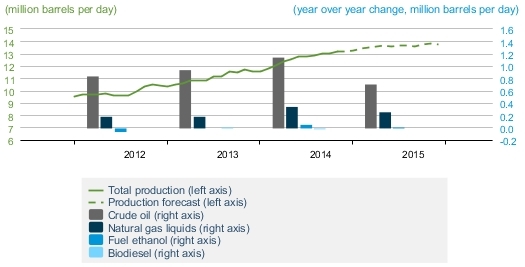 Chart 3 illustrates the surge in US shale production over the last three years. Production has increased by an average of more than 1 million bpd each year over this period. In doing so, US production has completely dominated the global growth in crude output (against the relatively stable or declining production of other major producers). For the crude market to stabilise, prices need to remain at a level that substantially reduces the growth rate of US shale production until surplus supply is absorbed. That means the life cycle costs of US shale production may act as an important resistance level for crude prices in the interim period. The SRMC vs LRMC dynamics of the oil market are reflected in the current steep contago of the Brent & WTI forward curves. The Brent spot contract is currently trading below 50 $/bbl, whereas the contracts three years out along the curve are trading closer to 70 $/bbl. Spot prices may need to fall further in the short term (e.g. below 40 $/bbl) for production to respond to immediate oversupply issues. But prices along the curve may need to remain below the LRMC of US shale for a longer period of time in order to drive a more structural curtailment in US production. These dynamics mean that we may be entering a period where crude prices move in the 30–70 $/bbl price range rather than returning to the 100+ $/bbl prices of the last few years. If that is the case it will flow through into much lower long term contract prices for European pipeline gas and LNG, putting considerable downward pressure on European gas hub prices. In the final installment of our three article series on crude, we come back next week and look at the behaviour of Brent spot prices in relation to the forward curve, using an animation of price movements since 2008 (as we did with NBP gas prices previously).